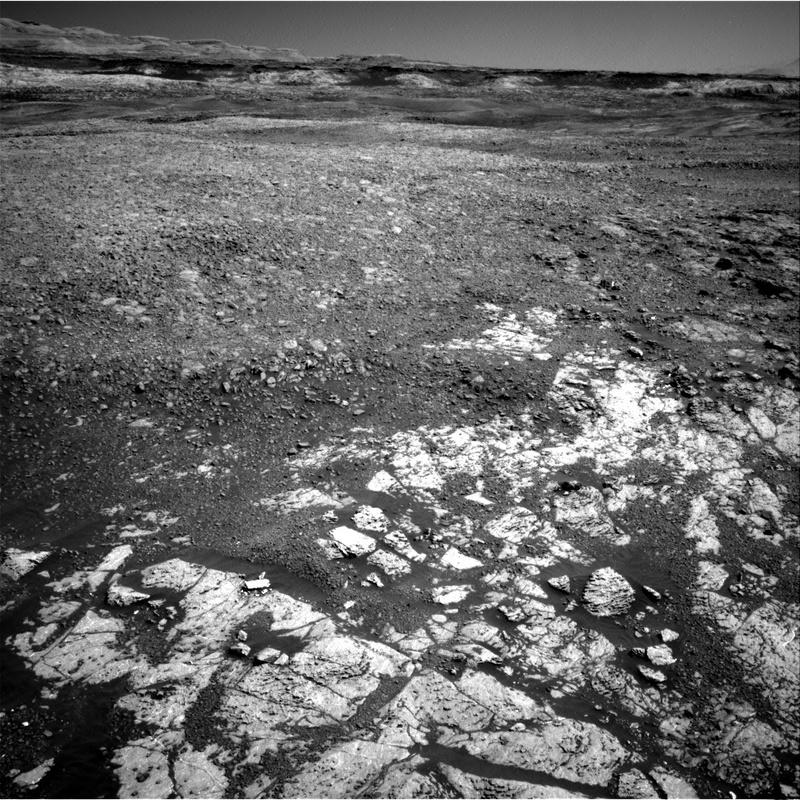 Over the weekend Curiosity drove ~52 m to the northeast to another patch of gray bedrock. The team is interested in characterizing the gray bedrock to determine if we might want to drill here. But before we can think about drilling again, we need to wrap up our analyses of the cached Ogunquit Beach sample. This means that we need to do some SAM preconditioning today, which is a very power-hungry activity. That also means that there's not a lot of power for other science activities, but we did manage to squeeze in a few contact science activities. I was the SOWG Chair today, and it was exciting to be back to planning nominal sols, which means we'll plan every day this week. However, it was an early slide sol, so the day kicked off dark and early at 6am. Today's one sol plan starts with the SAM preconditioning activity, which heats up a sample cup in order to prepare for solid sample analysis. In the afternoon, we'll use the DRT to clear a fresh patch of gray bedrock to analyze with MAHLI and APXS at the target "Newmachar," followed by MAHLI imaging of the target "Yesnaby" to investigate a dark gray vein. We'll also acquire some additional workspace imaging to supplement the current coverage and to make sure that we pass our slip checks tomorrow. The plan also includes routine DAN passive and REMS activities. While it was a relatively light plan in terms of science, it's exciting to think about being able to drill again, so we're looking forward to accomplishing the SAM analyses!